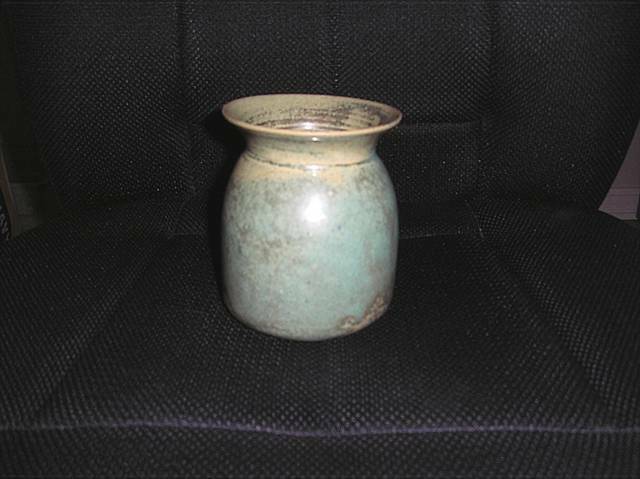 Description: This little hand thrown pot is 4 3/4" tall. I have not been able to identify the mark on the base. I have two other pieces that have the same mark that were purchased several years ago. The clay is a cornmeal type material in color and texture. i suspect that it is from a small studio pottery. Any help in identifying will be appreciated.